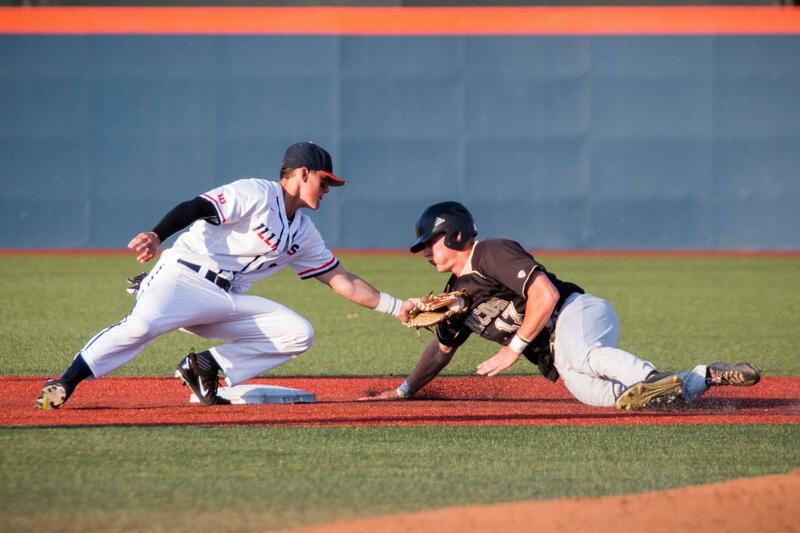 Illinois second baseman Michael Massey makes the tag on Western Michigan's Tyler Frank at Illinois Field on April 18. 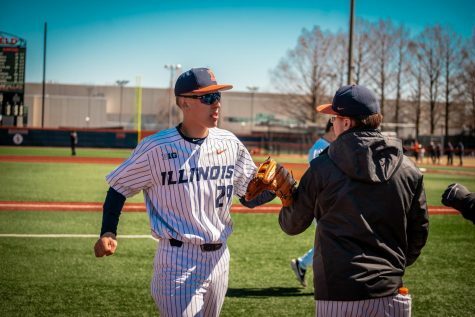 Illinois baseball is looking for a better result this time around after being swept last weekend against Big Ten foe Purdue. The Illini continue their eight-game road trip in the Twin Cities with a three-game series against Minnesota beginning Friday. Illinois and Minnesota are nearly at opposite ends of the Big Ten standings. The Illini are only ahead of Penn State, sitting at 3-9 in conference play. The Gophers are in second place at 8-4, trailing Maryland. Minnesota (24-12) is 11-7 at home this season. It has lost four of five games in Big Ten play after starting off the conference slate with seven-consecutive victories. Junior first baseman Toby Hanson leads the Gophers with three home runs and 31 RBIs. Hanson was 3-for-4 in Minnesota’s 3-2 victory over Northern Illinois on Tuesday. 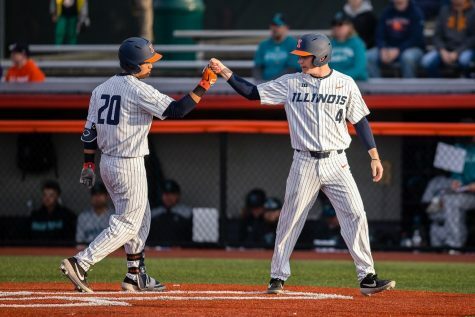 After scoring four runs in three games over the weekend at Purdue, Illinois’ bats woke up with an eight-run night in Peoria against Bradley on Tuesday. 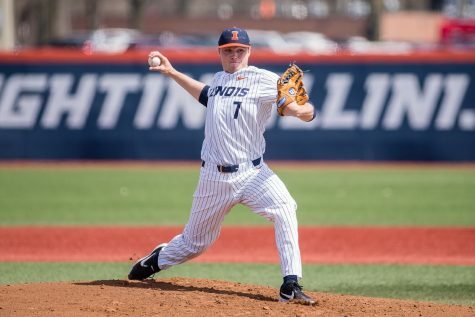 The Illini trailed the Braves 6-3 entering the eighth inning, but they scored five runs on five hits in the frame. 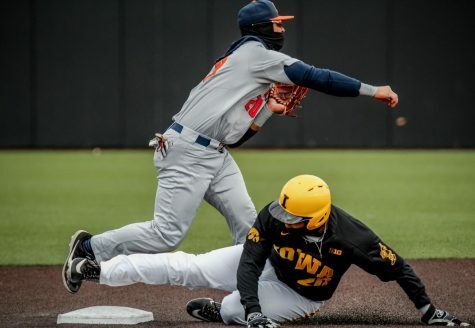 Catcher Mark Skonieczny stole his first-career base in dramatic fashion when he swiped home on a first-and-third double steal in the inning. April has been a month of firsts for the junior; he hit his first-career home run against Western Michigan on April 18. 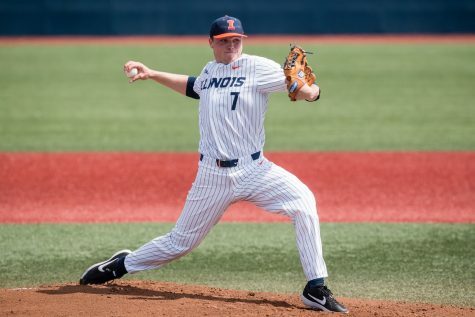 Illinois and Bradley split their season series at one game apiece. Considering it takes place two weeks after the academic school year ends, the Big Ten tournament for baseball lacks the notoriety that the basketball tournament gets every year. The top eight teams in the conference standings qualify for the tournament. It will take place at Bart Kaufman Field at Indiana University in Bloomington, Indiana from May 24-28. 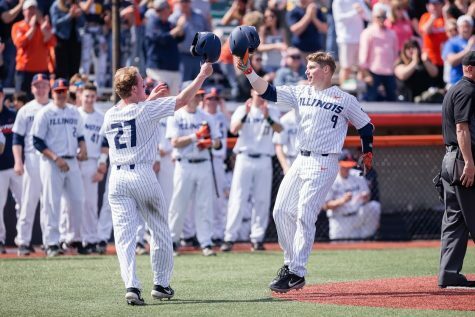 With 12 conference games remaining, the Illini realistically need to win-out if they hope to make the tournament. 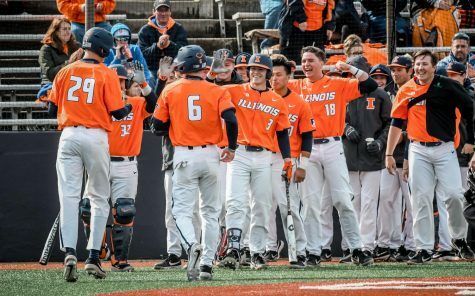 Illinois must leapfrog Rutgers, Michigan State, Northwestern and Ohio State to be in eighth place. The Spartans swept the Illini in March. They took two out of three games from the Wildcats earlier this month. 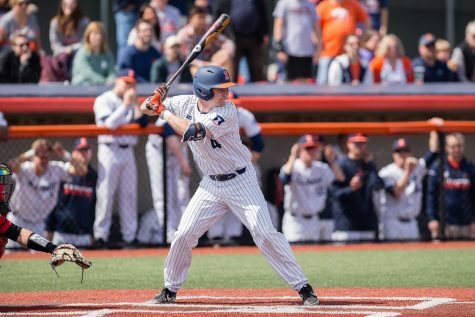 Illinois and Rutgers will square off in a three-game series in Piscataway beginning May 12. Rutgers is currently in eighth place with a 4-5 conference record. 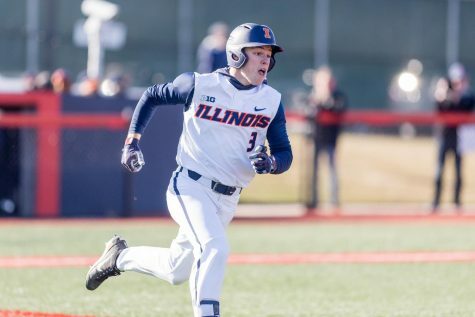 Second baseman Michael Massey was named Big Ten Freshman of the Week on Monday. Massey hit .500 (8-for-16) in four games and had four RBIs. He had two three-hit games, including one in a 13-3 rout over Western Michigan last Tuesday. Massey was a triple shy of the cycle in the non-conference matchup. The freshman added his third three-hit game in his last five starts Tuesday against Bradley. Massey is currently on a 10-game hitting streak. A key to the Palos Park, Illinois, native’s success is his ability to put the ball in play. 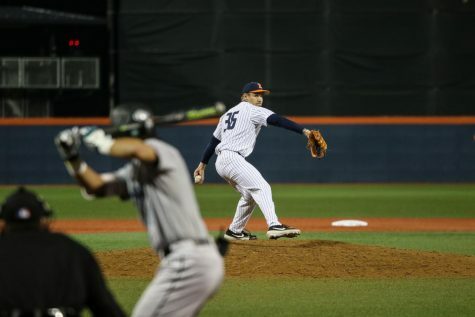 The freshman is one of the most difficult first-year players to strike out in the country, ranking fourth in the nation among freshmen in strikeout rate.